ABL 3, Virtual subtractive synth from AudioRealism. AudioRealism announced on their Facebook page that the next version of their TB-303 emulation will first be launched as a Rack Extension for Reason. ABL3 is coming, but only Reason users will be the first to use it, but don’t worry, the VST and AU plug-in is also scheduled later on. 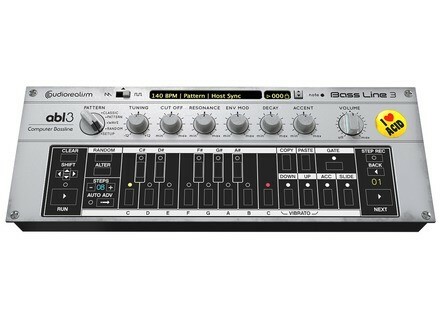 This new version of the Roland TB-303 bass synth emulation has been entirely rewritten and will use the ABL3 sound engine to offer even more realistic emulations. No information regarding the release date and price of this new synth.